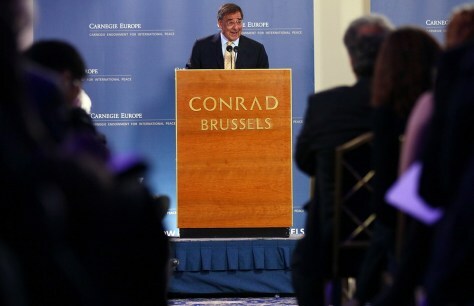 U.S. Secretary of Defense Leon Panetta speaks at Carnegie Europe on Wednesday in Brussels, Belgium. Panetta spoke of budget cuts leaving a shortfall for future NATO operations and called for allies to work more closely together to overcome this problem in the future. He is scheduled to attend NATO ministerial meetings later in the day.